If you have read this post, then I'm pretty sure you know how this trip almost didn't push through. But just like what others said, it might be that the universe conspired and helped me experienced my first solo travel ever! Everything is just scary because I was alone in a foreign city, not mentioning that I'm not really well because I have mumps to take care of. I got long stares because my face is not proportional. Lol! The plan is to go to Isla de Gigantes and have an island hopping with different islands. And to go there, from Manila, I have to land at Roxas City and go to Bancal port. 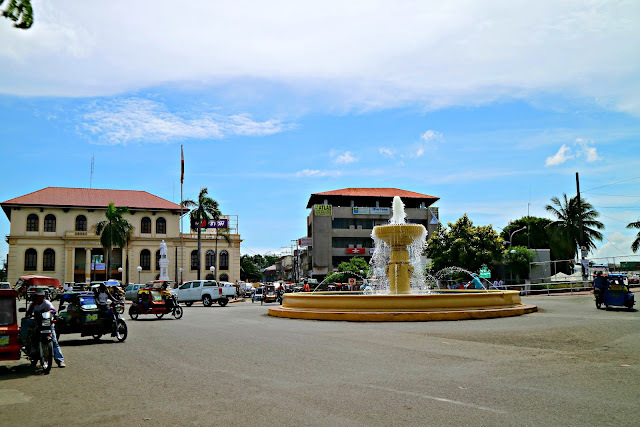 I decided to tour Roxas City on my first day so after an early morning flight, I landed at Roxas City, the capital of Capiz located at Western Visayas and the seafood capital of the Philippines. You know what, I love exploring places that aren't famous yet with tourists and travelers. I mean, Capiz is not the place people would want to go to. They would probably prefer Boracay and its nightlife. Well, who doesn't want that, right? Although I love Boracay as well, I love exploring different places and observe the locals. They are what made that place it is so it's only fitting to observe their day to day life and explore the culture and food. 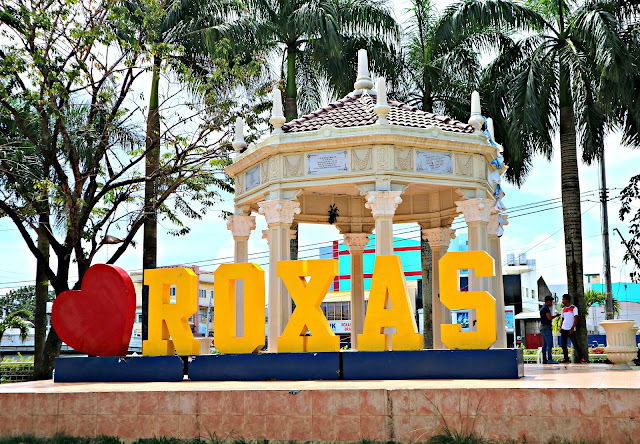 First of all, there isn't a lot to see in Roxas City. You can explore the city in a day! But, if you've got lots of time to spare, then it's neighboring town has a lot to offer. I only have 1 day in Roxas City and even if I want to, I can't explore all of its neighboring towns. My itinerary for the day just consists of city tour and sampling different seafood because they said seafood here is cheap! First stop for the day is to get breakfast. Since my flight is early in the morning, I haven't eaten anything yet except for the smoothie I had at the airport. I saw from some bloggers that tricycles near the airport charge higher than the others so it is recommended to walk meters away from the airport before hailing a tricycle (a mode of transportation that's similar to tuktuk of Thailand). I asked the driver to drop me off at the public market so I can try their local delicacy baye-baye. I was also searching for an open fast food but can't find any. So while on the way to the public market, I asked the driver if Sta. Monica Church is far from where we were at and what mode of transportation I can take. 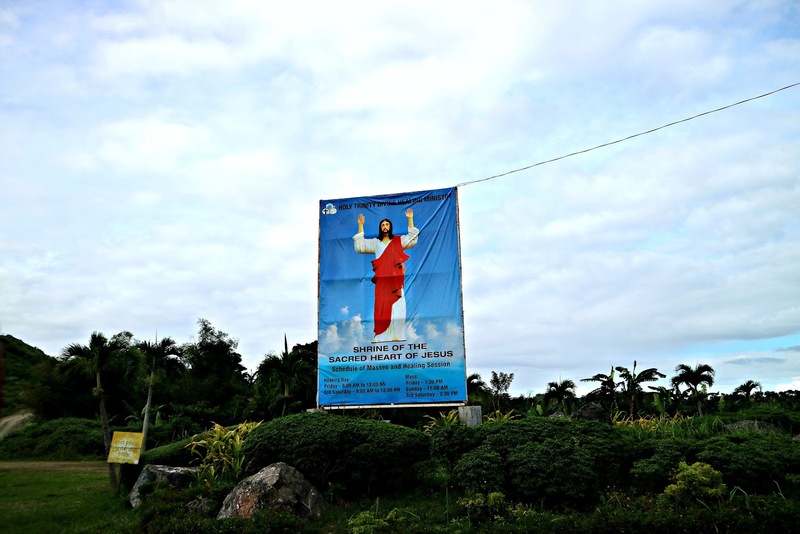 He said it was far because it's already in the town of Panay. 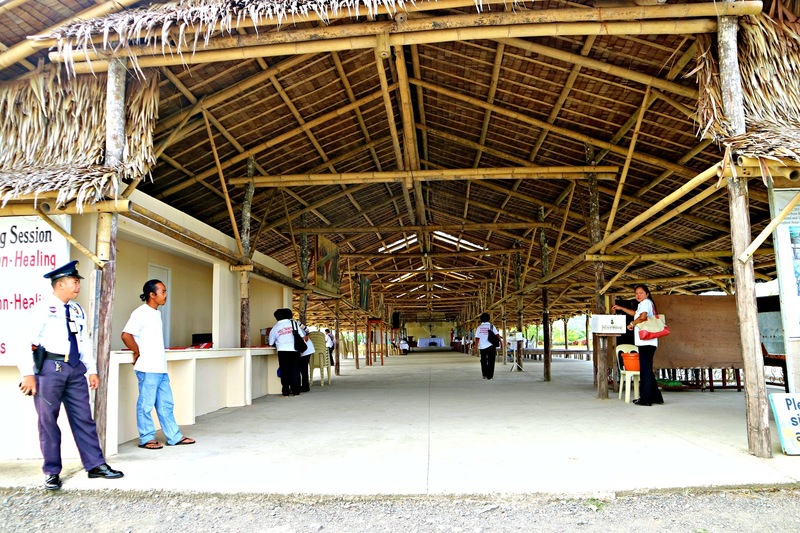 He offered to bring me there for P200 roundtrip. So me being the traveler not wanting any hassle, I accepted the offer. He also brought up some interesting places I can go to which aren't part of my planned itinerary. We had many conversations that led to different topics. It was also fun because the driver seems nice. He also offered to bring me to Shrine of the Sacred Heart of Jesus which by the way is on the top of a hill. Cars are able to go up but since it's a hill, the road is still rough and it's kinda dusty. It's as if I was in a roller coaster because if I won't hold onto anything, I might get thrown out of the tricycle. Lol. 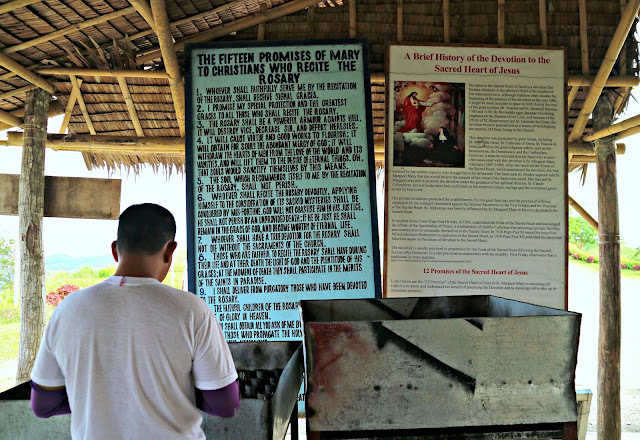 So our first stop for the day was Shrine of the Sacred Heart of Jesus. The shrine is famous for the gigantic statue of Jesus which the locals claim is 132ft tall. It was the first Friday when I went there so there's a mass going on inside. The view from the hill is also nice! 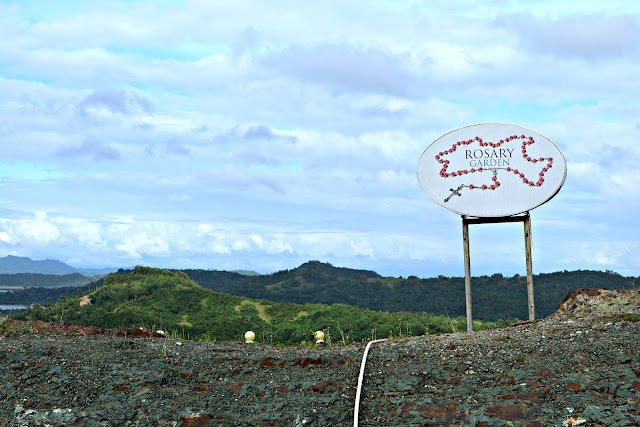 You can almost see the whole city of Roxas! It also has a Rosary Garden that surrounds the praying area. And to compliment the statue of Jesus, it also has a life-size statue of Mama Mary. 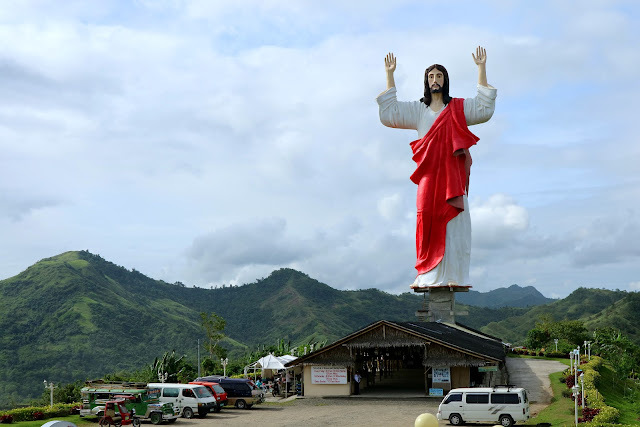 My father's friend told me that the owner of the place has a vow to create big statues in giving thanks for blessings. They own lots of hills and they make a shrine on the top. 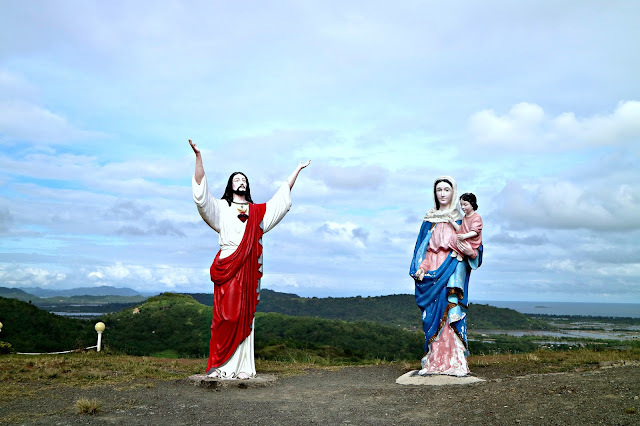 Going to Bancal Port in Carles Iloilo, we also pass by a hill where it houses a gigantic statue of Mama Mary. There are a lot of people visiting the area and to think that it's at the top of the hill, people seemed really drawn to the shrines. We stayed here for an hour. The tricycle driver joined the mass while I roam around the place and lit candles. Our second stop was Sta. 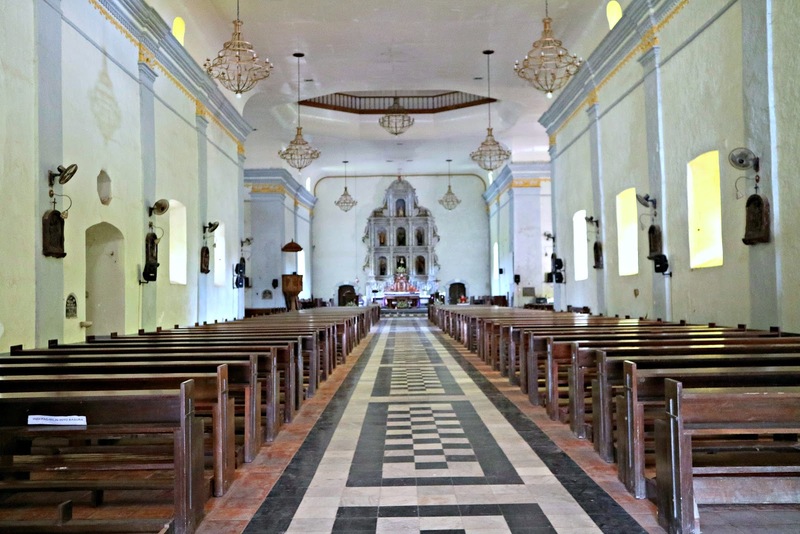 Monica Church found in the town of Pan-ay, a national historical landmark as declared by National Historical Commission of the Philippines. Sta. 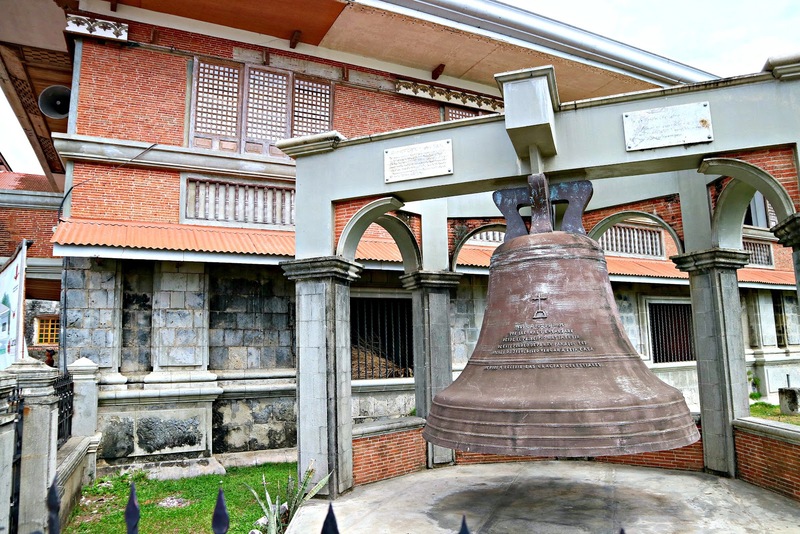 Monica Church on the outside is just like a typical church you can see anywhere in the Philippines only that this church is known for housing the biggest bell in the Philippines and in Asia! The bell is still used up to this day and the tour guide said that the sound can be heard even in the center of Roxas City. I wonder how true that is! On the top, you can also see the view of the whole, Pan-ay. You can even see the shrine we went earlier! There's no entrance fee but donations are much appreciated. 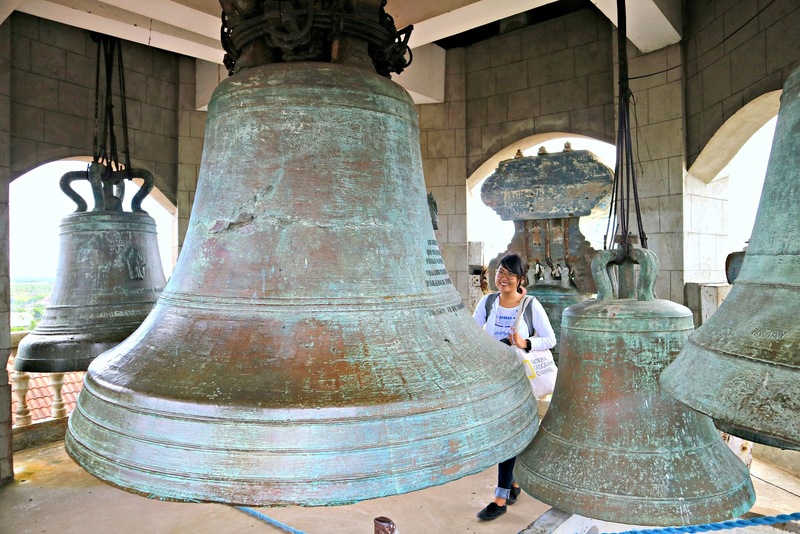 There's also student guides that will share valuable history lessons regarding the bell and the church. There's also a museum but I wasn't able to go inside. The tricycle driver drove me back to Roxas but before we separate ways, he also brought me to the provincial capitol. 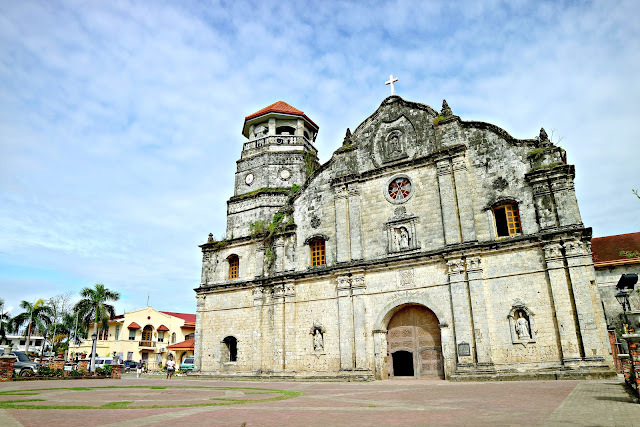 The capitol, bandstand, and Roxas church are just near to each other. You can also walk to the birthplace of Pres. Manuel Roxas from the capitol if you opt to walk instead of taking a tricycle. And since it was almost lunch time, I asked the tricycle driver to bring me to Baybay beach to have lunch. This is also where you can see the People's Park. 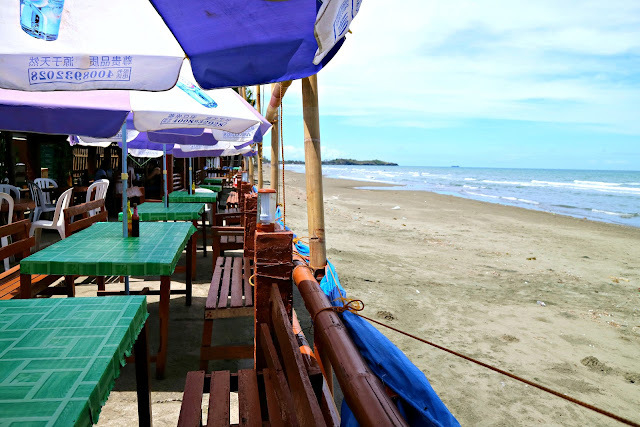 If you're visiting Roxas City, it's a must to eat seafood at the Baybay beach. This is where you will mostly find cheap seafood. You can also dip in the beach if you want to. For lunch, I had blue marlin where half of it was grilled and the other half was cooked a la Sinigang. I also ordered Squid but I wasn't able to eat it as I was having a hard time chewing hard foods due to my mumps. I didn't have any accommodation booked yet prior to this trip. So my plan after eating lunch was to look for a cheap and affordable accommodation so I can rest for a while before exploring the rest of the city. I texted my father if he knows any accommodation in Roxas. Luckily, he has a friend that's based in Roxas that was super hospitable! Like, I was able to save some bucks for dinner, accommodation, and even transpo going to Bancal port! That was huge savings! Her family adopted me for the night and let me stayed in a resort in President Roxas, one of the towns of Capiz province. So right after lunch, I contacted her and she and her husband fetch me from Baybay beach. We stayed at their house until afternoon and I took a nap to make up for the lost sleep due to the early morning flight. 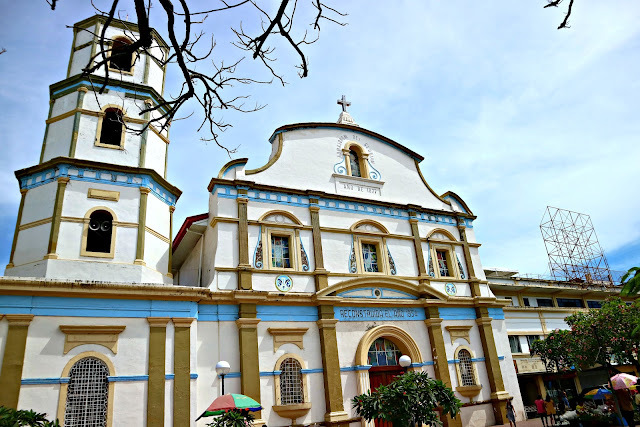 Roxas City is just small but there a lot to see in the whole Capiz. 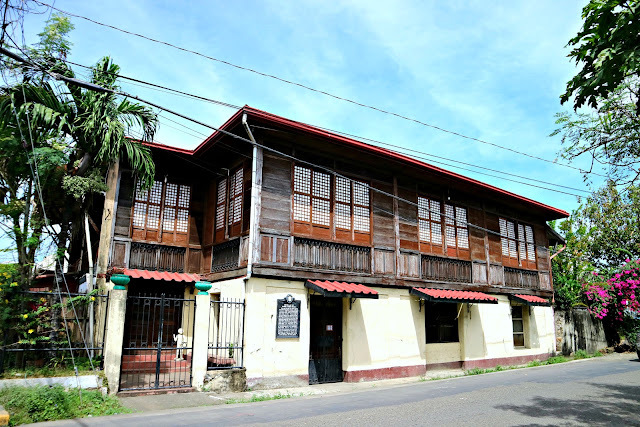 And solo traveler or not, Capiz province is worth visiting! Hi thanks for visiting our little province Maaya. 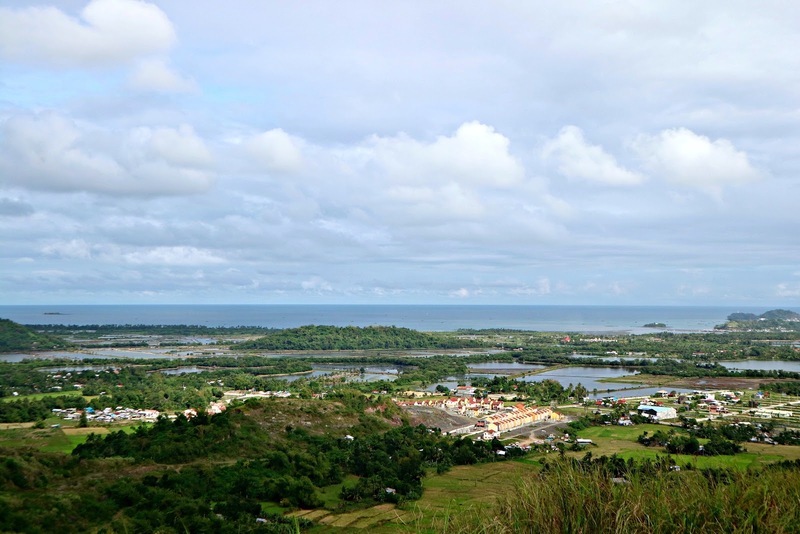 If you'll be visiting Capiz again, you may consider some trekking adventure to some of the mountains and falls. See you again ma'am. Wow, looks like a stunning place to visit! I am glad you had a great time exploring! I must say, you are a brave person....I am not the type of person to make, let alone stick to an itinerary...You also have some amazing pictures, hopefully they will remind you of fond memories for years to come! Wow! I always wanted to explore the country. This year my friends and I might visit Davao but we will surely include Roxas City on our travel bucketlist! 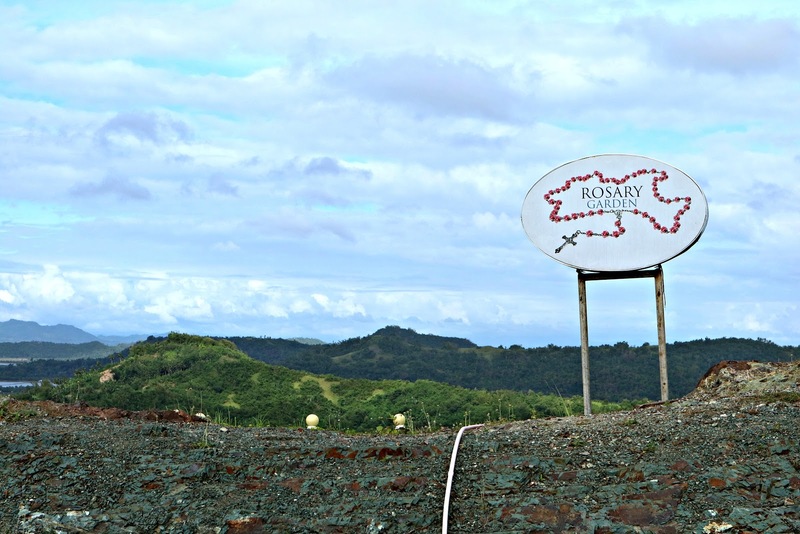 How long is the travel time from Manila to Roxas by the way? Love your pictures too! Wish I can visit the place soon! 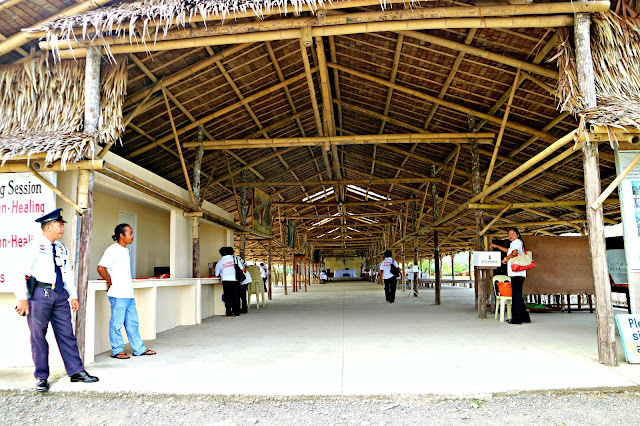 It's nice to read your post as I have not returned to Capiz for a long time. I used to go there at least once a year because my best friend is from there. We would then go to Boracay. Roxas is a small city, but I am glad it is growing. Because of the increase in domestic tourism, they could use more visitors. 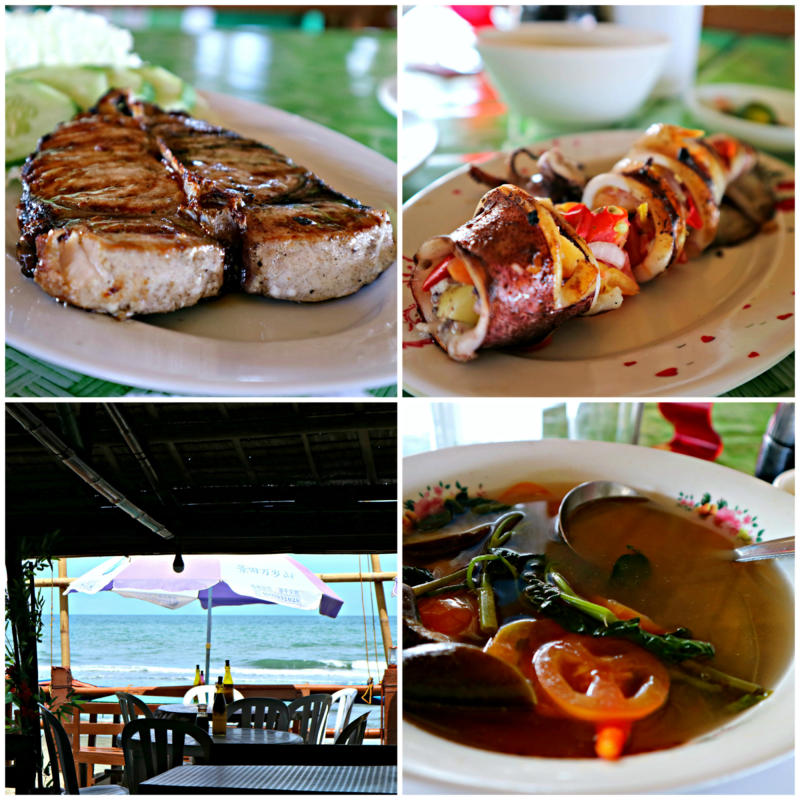 Unfortunately, it is no longer true that Roxas is the Seafood Capital as the waters there are polluted. Woah! I don't know about the 2nd picture, but the first one that has cars as size reference: THE STATUE IS ENORMOUS! I wonder how heavy is it? The hills looked like a place where you can stop over and relax. I also love the old architecture of the houses. It takes me back through time. Congratulations on being able to travel solo! 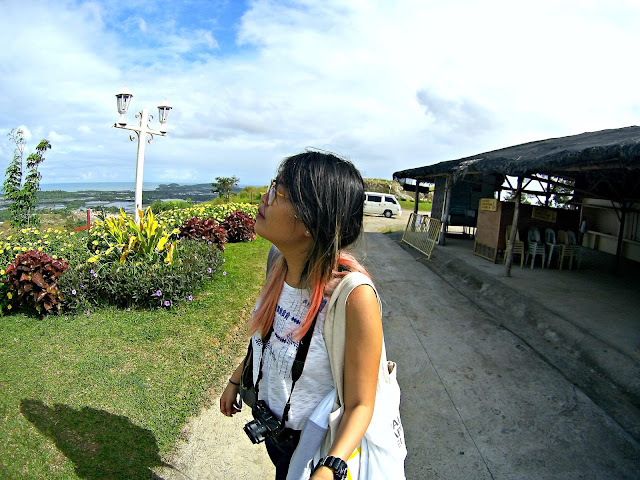 Not everyone can survive solo travel, and you are blessed that you got to experience that. :) I myself wish I traveled solo more when I was single, but now that I am married, I cannot imagine traveling without my husband. 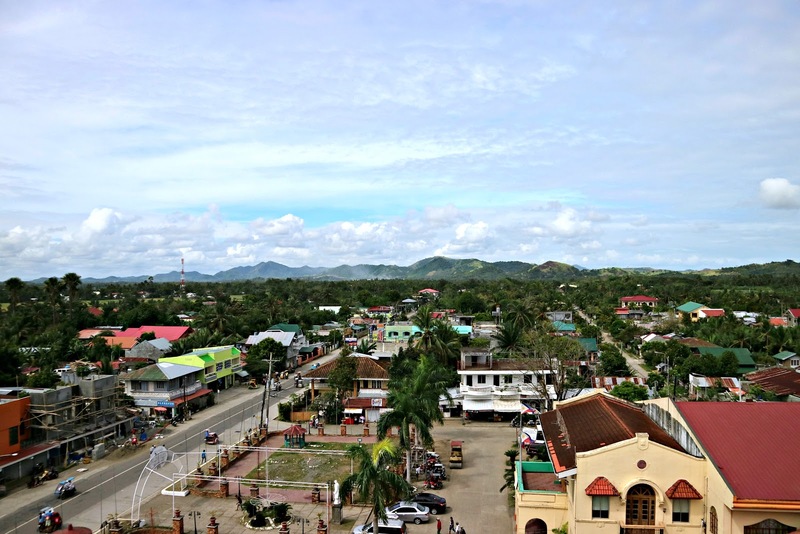 Anyway, Roxas City does look like a small and quaint town, but an interesting one, nevertheless. It looks like a mini Cebu, with the churches and the beach and the yummy food! You are quite brave to go to a place without even having accommodations booked in advance! What a shame you could not eat the squid... it looks really delicious. I love hanging out with locals when travelling when I get the opportunity. How lucky that your dad had friends there! I am sure you saw things that you could never have alone. Every town really has its own charm so it's worth visiting. 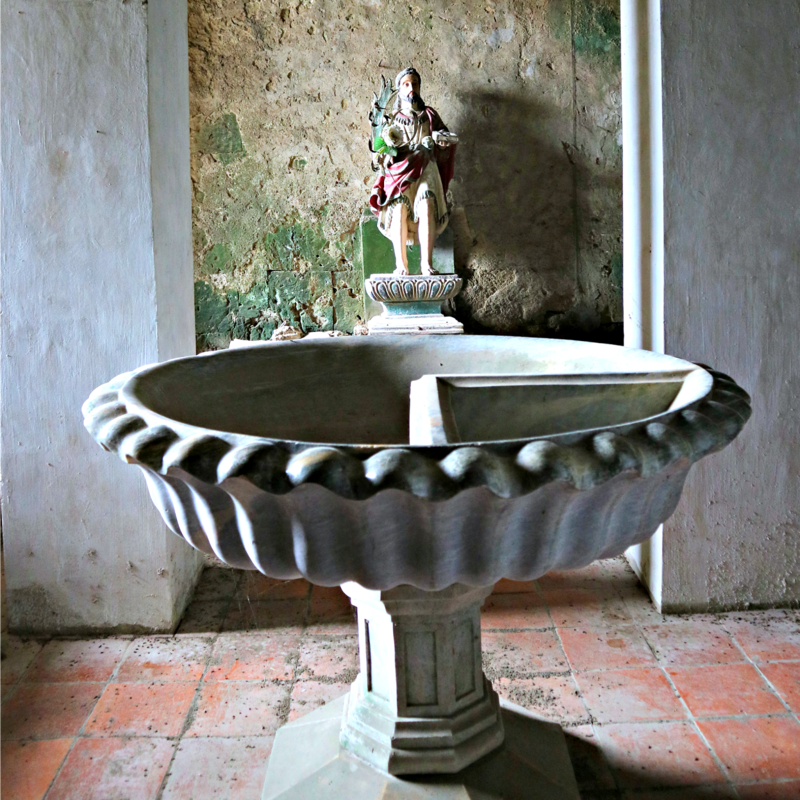 Those who have an affinity for history and/or religion will love the place since most of its attractions are such. I personally would love to stuff myself with loads of seafood. 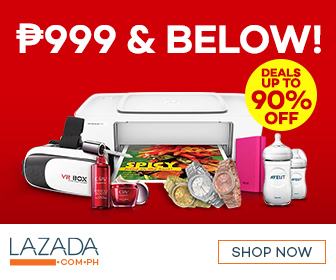 By the way, how much is the cheap you're stating so we'll have an idea. The spread here is tempting me again. A great trip made without much planning, I guess these are the kind of trips enjoyed most too. Great pictures of the place. I agree it is indeed worth to visit. I went there 2 years ago and was really a divine to have a full amount of sea food in every meal, so delish, fresh and cheap. In my case, I stayed 3 days in the city, loved how they use their tricycle by the way and so with the night life at the bay where fresh sea food can be found too.